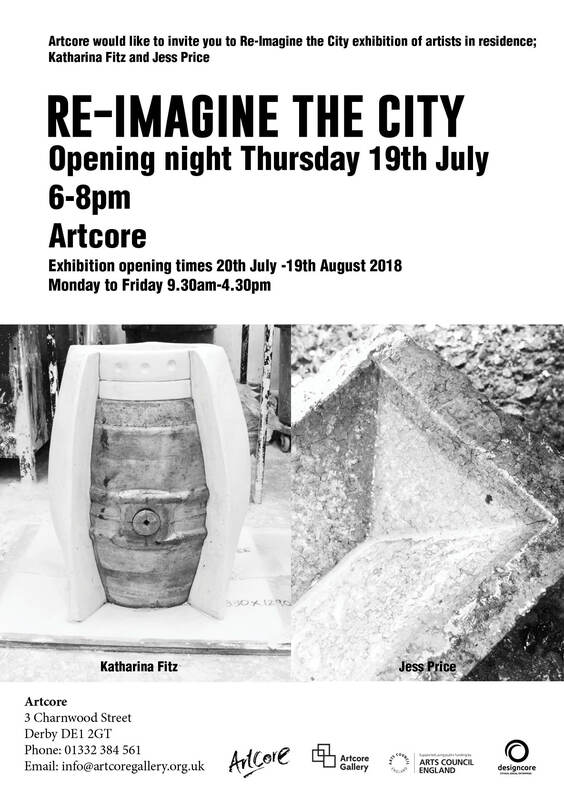 Artcore is proud to present Re-Imagine the city exhibition with artworks by two artists in residence Katharina Fitz and Jess Price. Engaging with ideas and possibilities which explore issues that shape the city, the exhibition aims to show layers of interpretation and reinterpretation of what it means to reimagine and influence the places where we live and work. While examining the way in which we transform our surroundings to reflect the displacement of our dreams, the show seeks to open the political potential of contemporary ‘utopia’, as an element which can provoke the social imagination by resonating with the themes of hope and desire. For Re-Imagine the City residency, Katharina Fitz has worked on a project surrounding the pub culture and the issue of the disappearing of the public houses in the UK. The works exhibited, concerned with the disappearance of the British Pub, as it functions as a social forum where different generations meet and socialise. For Katharina Fitz by losing Pubs within the cities, we lose focal points for our communities and places of a unique tradition and character. Her works in the exhibition want to create an awareness about the problems and changes that affect our coexistence within urban space in order to initiate a discussion about the future of our cities and the cohesion of society within it. The works, objects of the metal beer keg, appear as monuments to the utopias of modernity and to the narratives which are gradually erased from our memory. The materials she chooses are containers of information while also functioning as archives in and of themselves. Key concepts in Fitz’s work are disappearance and repetition, including history’s tendency to repeat itself, reflecting in this particular project with the disappearance of PUBS. For Re-Imagine the City residency, Jess Price, recent Derby University graduate, has worked on pieces committed to revealing oppressive social and political structures in the city. Price’s work comments on some of today’s most pressing issue: homelessness in Derby. Seeking to illuminate the role of artists in a time of crisis, the works in this exhibition explore the urgency of free speech and deconstruct dogmatic ideology while also questioning our rampant consumer society and its effect in disadvantaged areas of the city. From the number of bricks that create the barrier, to the amount of threads hanging throughout the piece, every detail has significance. These details paint the picture of homelessness in Derby, telling us how many homeless people there are, to how many positive outcomes there are from our current support efforts. The exhibition will be accompanied with a e- publication featuring both Katharina Fitz and Jess Price works specially produced for the exhibition as a result of two month residency. Join us on the 19th July at Artcore 6-8pm.